Refined for 2016, the Fox InstinctBoot is updated with slightly larger sizing, new lower straps with replaceable strap passes and updated materials for improved durability. The Instinct boot provides instant comfort and support with zero break in required. Our patent pending Hinge Lockout stops motion before hyper extension. The effortless patent pending buckle system moves fluidly as the boot flexes. 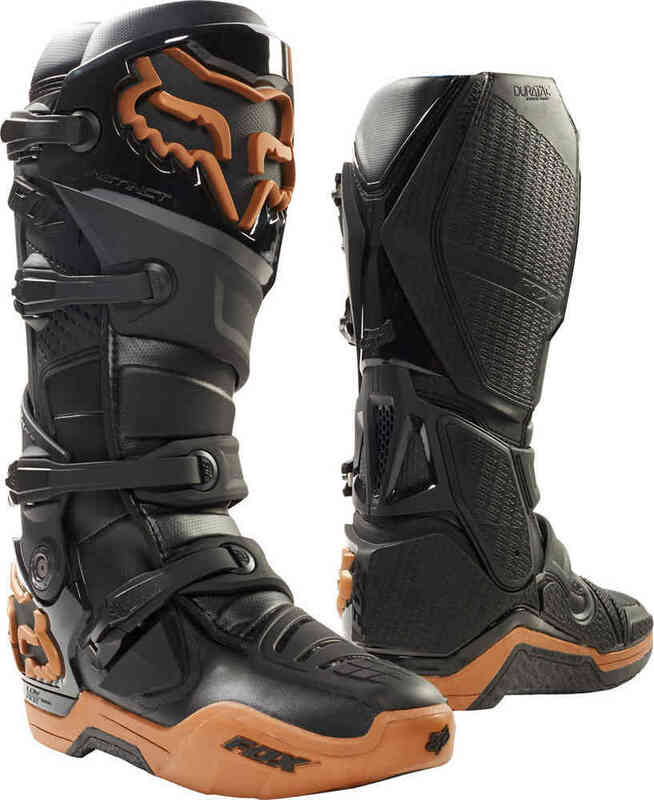 Fox’s exclusive Duratac Sole and burn guard provide unmatched grip durability.